Betty Kyallo has been a single mother ever since she broke up with her husband Dennis Okari. Her marriage only lasted 6 months and ended in a nasty breakup. 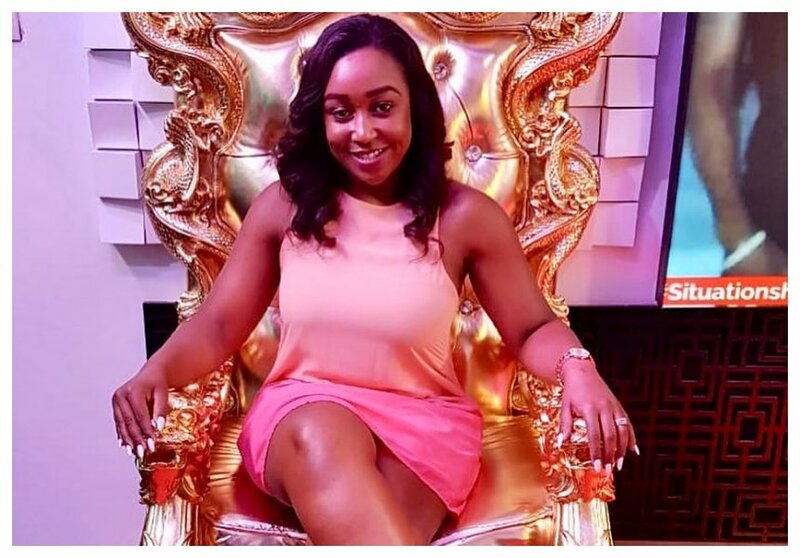 It’s almost three years since Betty Kyallo walked out of her marriage and some people are questioning whether or not she will be married again. 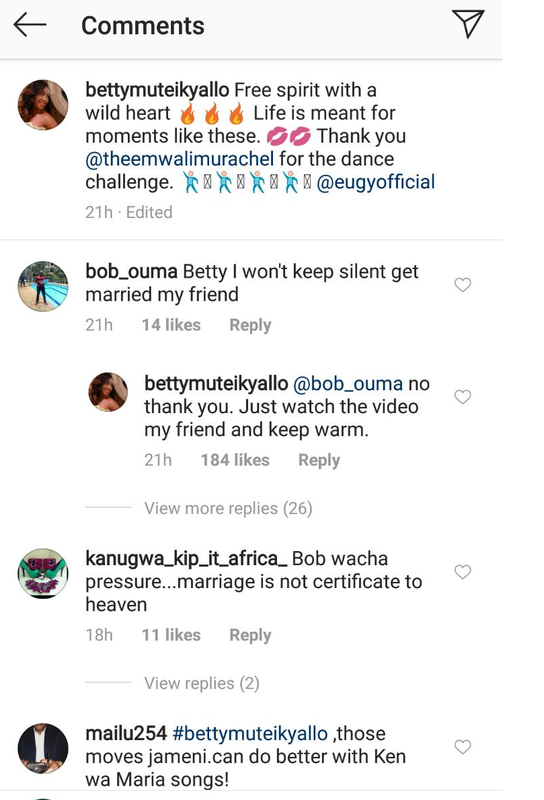 Betty recently shared a video of herself dancing and internet user by the name Bob Ouma implored her to stop dancing and get a husband. “Betty I will not stay silent. Get married my friend,” Bob Ouma commented on Betty’s post. Betty replied and made it clear that she wasn’t going to be married anytime soon. she urged the critic to be calm and watch her dance. “No thank you. Just watch the video my friend and keep warm,” Betty replied.